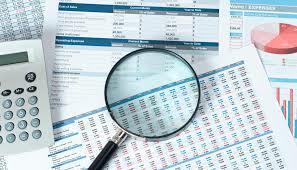 Many business owners think the terms Income Statement and Financial Statement are interchangeable. The Income Statement is indeed one part of a Financial Statement package, but owners should know there are usually three other statements and why they are important. Let’s start with the Balance Sheet. The balance sheet is made up of three sections: Assets, Liabilities, and Equity. The basic accounting equation is Assets = Liabilities + Equity. The balance sheet shows a company’s financial position on a specific date. Assets are classified into distinct groupings. Current Assets are assets that will generally be used within an accounting cycle. They include cash, accounts receivable, inventory, and prepaid expenses. Fixed Assets are items that provide long-term use for the company. 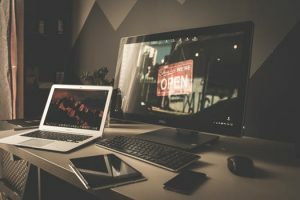 Things like land, buildings, machinery, and computer equipment will benefit a company for longer than one accounting cycle. Intangible Assets are those items that are not physical and will last longer than one account cycle, like computer software or trademarks. Current Liabilities are obligations that are due within an accounting cycle. Accounts payable, wages payable, customer deposits, and accrued expenses are examples of Current Liabilities. Long-Term Liabilities are obligations that are due over more than one accounting cycle. Notes payable (less the current portion shown in Current Liabilities) are listed here. The items listed in the Equity section vary, depending on the legal form of the business. Owner’s Equity is used when a company is a Sole Proprietorship; Members’ Equity is used for a Limited Liability Company; Stockholders’ Equity is used for a corporation. An accountant who understands how to properly classify items on the balance sheet is crucial to having useful financial statements. Staying on top of accounts receivable is essential for good cash flow; knowing how often inventory turns over can help you determine if you are carrying obsolete items; recognizing when an item should be recorded as a fixed asset and when it should be expensed will keep you out of trouble with the IRS. You may have heard the terms Cash Basis or Accrual Basis, and when you register your business with your state, you will likely be asked which method you plan to use. This is an important decision, but the concepts are not difficult. It is worth the time to understand what the terms mean. 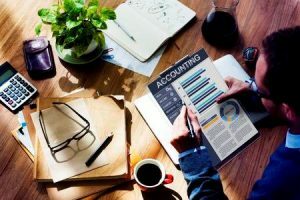 The bottom line is that the Cash Basis and Accrual Basis of accounting are two different methods of recording transactions. The difference between the two is the timing of when Revenues and Expenses are recognized. The Cash Basis records revenue when cash is received from a customer; expenses are recorded only when cash is paid to suppliers and/or employees. The Cash Basis is the easiest to use of the two methods – there are no payables or receivables to worry about. Another is that taxes are paid only on transactions that have been paid. However, per the IRS the Cash Basis can only be used when a company’s sales are less than $5 million per year. The Accrual Basis means revenue is recorded when an item is sold or when a service is performed, not when payment is received, and expenses are recorded when the items are used. In other words, revenues are recognized at the time they are earned, Cost of Goods Sold are matched and recorded at the same time, and administrative expenses are recorded when incurred. A company sells 500 widgets for $1,000 to a customer in June. The customer pays the invoice in July. With the cash basis, the sale is recorded in July when the cash payment is received. Under the accrual method, the sale would be recorded in June when the invoice is issued, and an Accounts Receivable would be created. When payment is received in July, the cash is applied to the Accounts Receivable. A company buys $100 of office supplies in September and pays for them in October. Under the Cash Basis, the expense is recorded in October when paid. With the Accrual Basis, the expense is recognized in September when the invoice is received and an Accounts Payable is created. The consequences of choosing the wrong method can be expensive. I once had a client who had a small retail company and chose the Accrual Method. He was able to get a substantial discount on items for resale, so he actually saved money by purchasing more than he needed. He classified the extra goods in inventory, even though most of those items would never be sold. The correct method would have been to use the cash method and classify all purchases to expense when payment was made. Consequently, he showed higher profits which meant he had a bigger tax bill each year. Starting a business can be one of the most exciting things you do in your life. You have a great idea and you have figured out a way to make money with it. So let’s get things going! Slow down. Some careful thought, foresight, and planning will go a long way to increase your chances of success. A methodical plan of action will help you to fulfill your dream of being your own boss and running a successful business. The steps below are the start to a basic action plan for the beginning stages of your business. Determine how much capital you need to take you through the first two years of business. Following the steps of a sold Business Plan will help you consider all the different factors in projecting cash needs. Identify your sources of capital, whether they include your own savings, partner investments, or loans. Select a business location. Some businesses can be run from your home or a small office, others might need industrial space, and still others will need a retail-type site. If your business is in the third category, selecting a location is the second most important thing you do. Your location will affect not only the quantity and quality of traffic that passes each day, but different cities have very different taxes, regulations and licensing requirements that should be considered. Select a business structure that best fits your needs by evaluating tax advantages, legal exposure, and ease of compliance. Whether you operate as a Sole Proprietor, a Limited Liability Company, or a Corporation is entirely your choice, but each structure has different filing and tax aspects that need to be considered. You can consult with a general business attorney, a CPA, or a seasoned accountant to help you with this decision. Register your business name or trade name. If you are going to operate as a Sole Proprietor, you should register a DBA (doing business as) with your state. If you plan to operate as an LLC or a corporation, you need to verify that your chosen name is not already taken and then it must be registered with the state. When choosing a name, think about whether you plan to have a website and check to see if the matching domain name is available. You might also need to consider trademark possibilities, in which case you need to check with the U.S. Patent and Trademark website. Register with the IRS to obtain an EIN (employer identification number). If you expect to collect sales tax from customers, you will need to apply for a sales tax permit from your state. If you will have employees, you need to register with your state for income tax withholding. Find out if the city or township in which your business resides requires any kind of business licensing. Open your business bank account. You will need your EIN and a copy of your Articles to do this. When selecting a bank, consider the convenience of branch locations as well as fees and charges assessed to your account. These steps may seem daunting, but a seasoned business professional can help walk you through these tasks to make sure you start your business the right way.